1. If you’re running Google Chrome version 14 or higher, click the wrench button in the upper-right corner of the Chrome window. From there, select Options. 2. In the navigation pane of the Options page, click Under the Hood. 3. Under the Privacy section, click Content Settings. 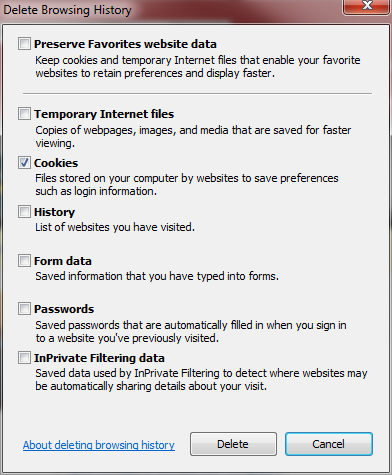 Click the ‘All cookies and site data’ button in the Content Settings window. 4. Under the Cookies section, click All cookies and site data. 5. 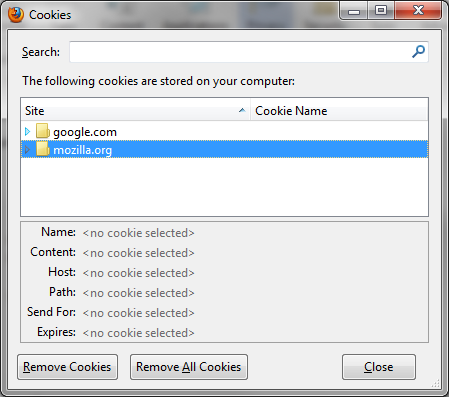 When the list of cookies appears, click the Remove All button to delete all cookies stored in Chrome. Alternatively, you can navigate to the Cookies section of your Chrome browser and click the Remove All button to delete all cookies in one fell swoop. 1. Make sure you’re running the latest version of the Firefox browser, and then select the Firefox menu. From there, select Options and then Options again. 2. Click the Privacy tab to bring up your user-privacy options. 3. Under the History section, click the Remove Individual Cookies link. Click the Remove All Cookies button to zap them. 4. At the bottom of the Cookies window that appears, click the Remove All Cookies button to delete all cookies associated with your Firefox browser. 1. Confirm that you’re running version 5 or later of Apple’s Safari browser, and then click the Gears menu in the upper-right corner of the Safari window. From there, select Reset Safari. In this window, check the bottom box, ‘Remove all website data’. 2. Check the bottom box, labeled Remove all website data. You can uncheck everything else if you want to remove only cookies. 3. 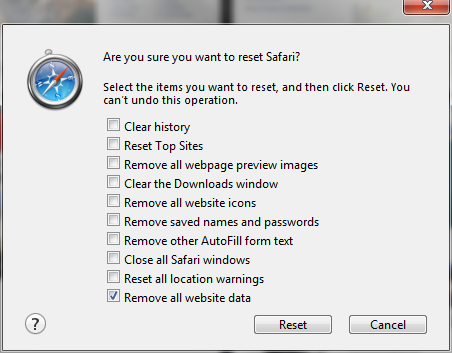 Click the Reset button to eliminate all cookies associated with Safari. 1. Upgrade to the latest version of Internet Explorer. Select the Tools menu from the Internet Explorer window, and click Delete Browsing History. 2. In the Delete Browsing History window, check the box next to Cookies. You can uncheck everything else if you want to remove only cookies. From here you can choose which parts of your browsing history to erase. 3. Click Delete to remove all cookies stored in Internet Explorer. Congratulations, you’ve successfully cleaned out your browser’s cookie cabinet. Although cookie files pose a potential threat to privacy, don’t forget that they can also improve your Web browsing by making it faster and more convenient.